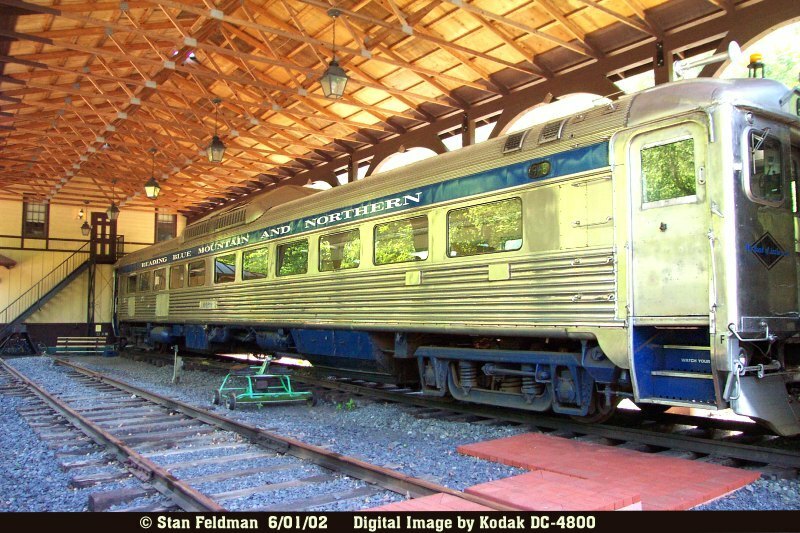 Reading,Blue Mountain & Northern Railroad Page 1 of 2-Stans RailPix- ! 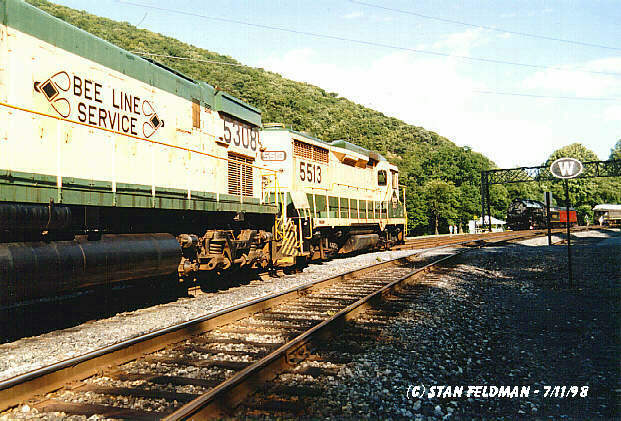 Click here to see a Reading Blue Mountain And Northern Boxcar at the entrance to The Port Clinton Yard, Port Clinton Pa. 7/11/98. Click here for a look at The 2 Reading Company Technical & Historical Society restored Reading Lines diesels, RDG GP-30 #5513 & RDG C-630 #5308. In the distance is Former Reading Company T-1 Northern #2102. Port Clinton, Pa. 7/11/98. Click here to see The Reading Blue Mountain And Northern Office Building and Tower, at the Port Clinton Pennsylvania Yard. 7/11/98. Click here to see Reading Blue Mountain And Northern, T-1 Northern (Steam) 4-8-4 #2102 on display at Port Clinton Pa. It is former Reading Company #2102. 7/11/98. Click here to see Reading Lines,(Reading Company Technical & Historical Society ) "Big Alco" C-630 #5308, (3000 HP). It is on display at The Reading Blue Mountain & Northern, Port Clinton Pennsylvania Yard. 7/11/98. Click here for a close, front end view of Reading Lines "Big Alco" C-630 #5308, (3000 HP). It is on display at The Reading Blue Mountain & Northern, Port Clinton Pennsylvania Yard. 7/11/98. 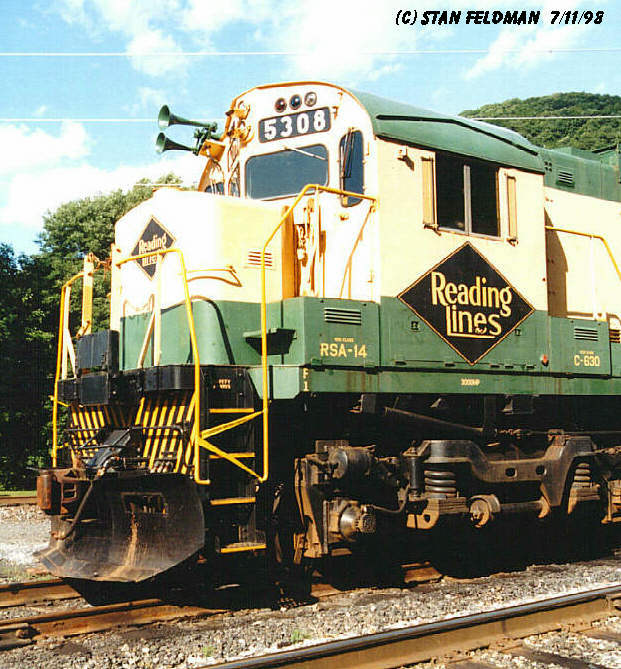 Click here for a side view of Reading Lines GP-30 #5513. (Reading Company Technical & Historical Society. ) It is on display at The Reading Blue Mountain & Northern, Port Clinton Pennsylvania Yard. 7/11/98. 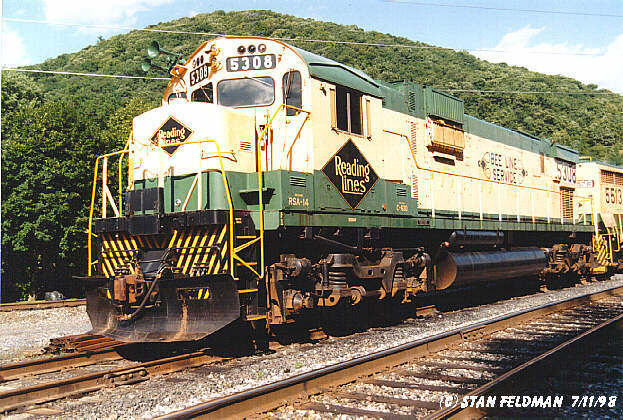 Click here to see Reading and Northern ( RBMN ) RDC-3 # 9166. 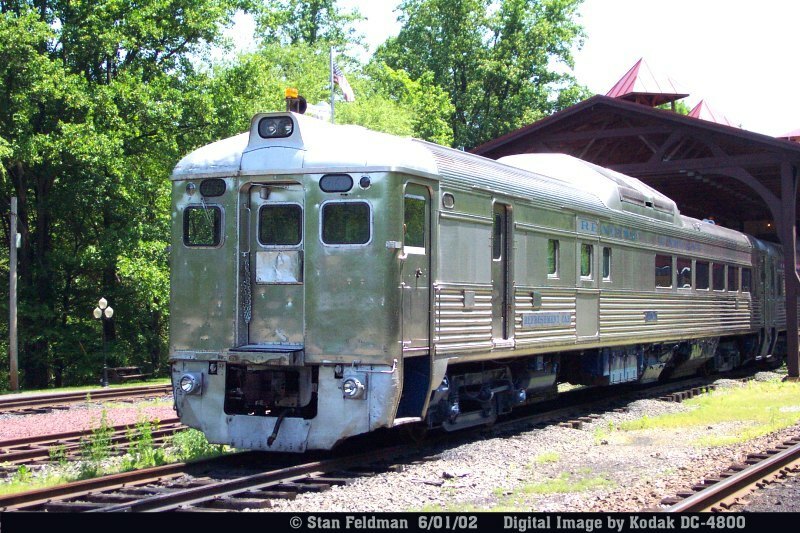 This RDC was build by the Budd Company in 1958, and is former Reading Company ( and Septa ) # 9166. 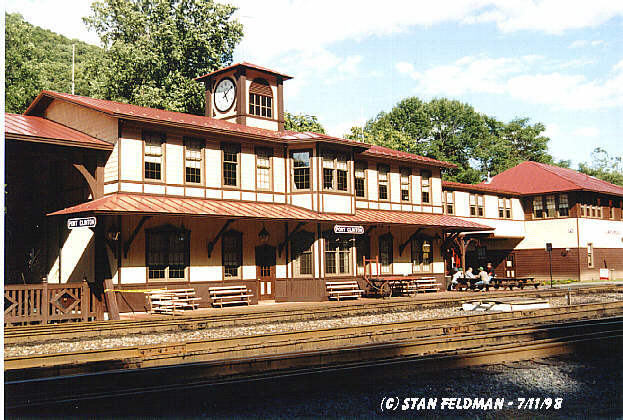 Port Clinton Junction, Pa. 6-01-02. 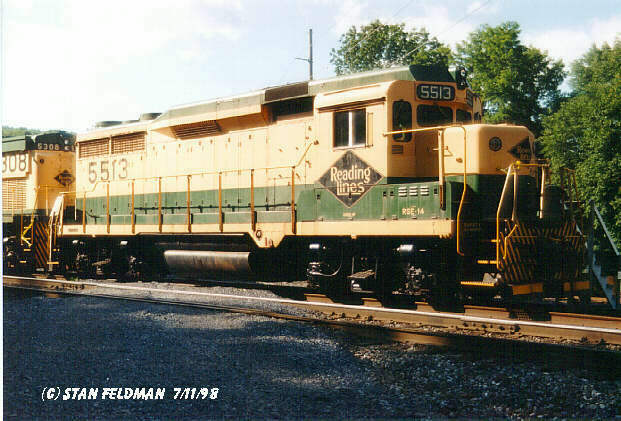 Click her to see Reading and Northern ( RBMN ) RDC-3 # 9168. This RDC was built by The Budd Company in 1951, and is former NYC M-499. 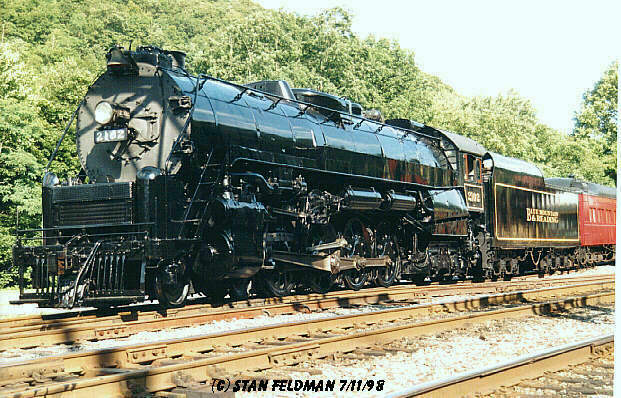 Port Clinton Junction, Pa. 6-01-02. 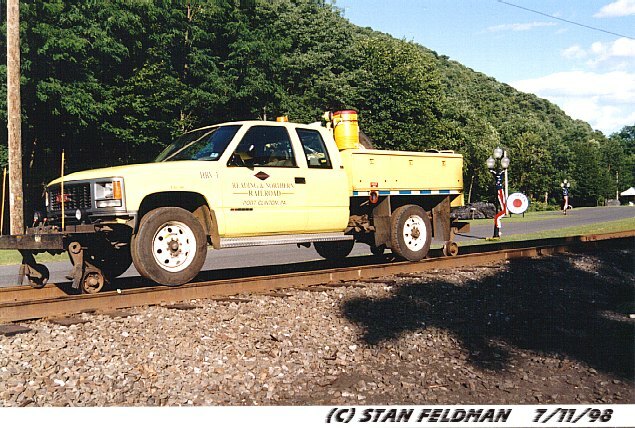 Click here to see Reading Blue Mountain And Northern Hi-Rail (MOW) Truck #1. 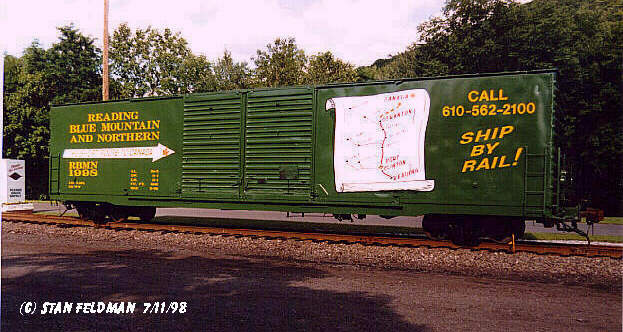 It is on display at The Port Clinton Pennsylvania Yard. 7/11/98.